Beebe families love Williams Chiropractic. I want to be the first to welcome you to Williams Chiropractic. My name is Dr. Sabrina Williams and I have been delivering quality chiropractic care to the Beebe community since 1996. 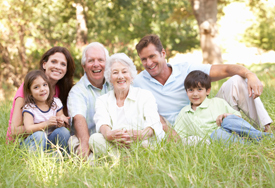 We are a family oriented practice and offer both relief and wellness care. We are here to coach you to your fullest potential and help you meet the health goals that you have for you and your family. As you tour this website, you will note the common thread and that is wellness. Many people are introduced to chiropractic after an injury and then realize that chiropractic is about expressing optimal health…. how to get well and stay well. Take the first step towards relief by calling our Beebe office today. Countless other Beebe-area residents already have!